Trigger controlled, reusable, Spray Nozzle for use with S-Can 5, 12 & 20. 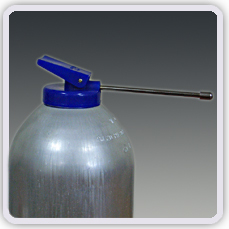 Trigger activator allows better control of flow than a standard Aerosol button. The S-Spray is a quick cost effective option for functional testing of sensors.